McDermott: Nothing, nothing at all. McDermott: I've been sending up and down the coast from Sarasota to the Everglades and still getting back the same dead air. There's nothing! There's nobody or at least nobody with a radio. Sarah: All right then let's set down, we'll use the bullhorn. McDermott: Set down? Wait a minute, that's not in our contract! Sarah: It's the biggest city within 150 miles and we're going to give it every chance. McDermott: Jesus, Mary and Joseph! Q: What different cut versions exist of the movie? Another zombie classic from Romero. Highly recommended! 'Day Of The Dead' is one of the greatest sleepers in the history of horror movies. A flop when originally released almost twenty years ago, its reputation has slowly increased over the years, and now is generally regarded as a classic. I certainly underestimated it for a long time. In my opinion Romero's 'Night Of The Living Dead' and 'Dawn Of The Dead' are two of the greatest horror movies ever made, but I always thought that 'Day...' was a bit of a let down. But after watching it again for the first time in several years (via the highly recommended double disc "special edition" DVD) I must humbly eat my words. This is a GREAT movie! 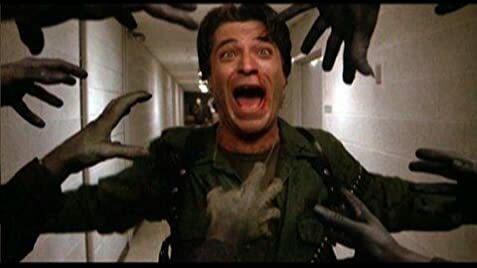 Romero and special effects Tom Savini do wonders on a limited budget, and the movie is full of suspense, a claustrophobic atmosphere and plenty of gore. It probably flopped the first time around because it's so bleak, but now that's one of its strengths. Interestingly Romero features a strong female protagonist (Lori Cardille) and a strong black supporting character (Terry Alexander), something not all that common in horror movies. Both actors give good performances, the soldiers led by Rhodes (Joseph Pilato) are all suitably ultra macho and deranged, and it was cool to see John Amplas ('Martin') in a supporting role, but the two stand out performances are by Richard Liberty ('The Crazies') as Dr. Logan (who the soldiers refer to as "Frankenstein"), and Howard Sherman as Bub, the zombie he has tamed. The sequences between Logan and Bub are just terrific and add a whole new level of pathos to the movie. 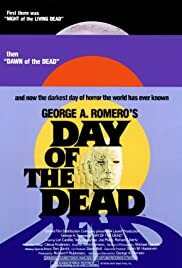 The only negative comment I can make about 'Day Of The Dead' is that it brings home the depressing fact that George Romero hasn't made a truly outstanding movie in close to twenty years. I really hope he makes his long threatened fourth Dead movie 'Dead Reckoning' and that it turns out to be his masterpiece. But whatever happens he has already carved his name out in horror history as the creator of three classic zombie movies that just get better and better as the years go by. 80 of 100 people found this review helpful. Was this review helpful to you?